ISLAMABAD: After a respite of several months, power consumers are now set to face an increase in tariff on account of fuel cost adjustment following consumption of furnace oil in electricity production in violation of the merit order. For the past few years, the consumers had been enjoying tariff cuts in the wake of low global crude oil prices despite the imposition of surcharges of Rs2.3 per unit during tenure of the previous Pakistan Muslim League-Nawaz (PML-N) government. On Wednesday, the National Electric Power Regulatory Authority (Nepra) increased power tariff by Rs1.25 per unit for fuel cost adjustment for May 2018, thanks to the Power Division that allowed power plants to use expensive furnace oil and delayed the placing of a firm order for cheaper LNG. A senior official of the Petroleum Division told The Express Tribune that they had approached the Power Division, asking it to share actual LNG demand from power plants, but it refused to provide the data. According to the priority list, LNG stands at second place after domestic natural gas for consumption as fuel in power plants, but the Power Division preferred the use of furnace oil that would put a burden on the consumers. In the absence of a firm demand from power producers, Pakistan LNG Limited imported only three cargoes, which was half the required quantity. At a public hearing conducted by Nepra on Wednesday, the regulator was told that power consumers would be burdened with an additional payment of Rs15.7 billion because of higher power tariff on account of fuel cost adjustment for May. In the month, 19.3% of electricity was produced with the help of furnace oil at a cost of Rs12.47 per unit whereas 23.85% of power was generated by using imported LNG at a cheaper price of Rs9.10 per unit. In terms of efficiency, furnace oil-based power plants have a low rate of 28% whereas gas-fired plants have a higher level of more than 50%. Nepra member Himayatullah Khan pointed out that consumers were forced to bear the cost of technical losses of power producers and suppliers and the losses were also a cause for growing circular debt. He complained that gas was being provided to the power generation companies that were operating at low efficiency whereas the independent power producers (IPPs) with higher efficiency were being denied gas supply. “IPPs can produce more electricity if they are provided gas; consumers will face only an increase of Rs0.30 to Rs0.35 per unit in tariff if these plants are given the gas,” he remarked. Nepra’s tariff decision came after the Central Power Purchasing Agency-Guarantee (CPPA-G) filed a petition seeking an increase of Rs1.3215 per unit in the tariff over reference fuel cost of Rs5.2908 per unit for May. Actual cost of power production stood at Rs6.6123 per unit. In the public hearing, Nepra decided to increase the tariff by Rs1.25 per unit which would be passed on to the consumers in their bills for June. 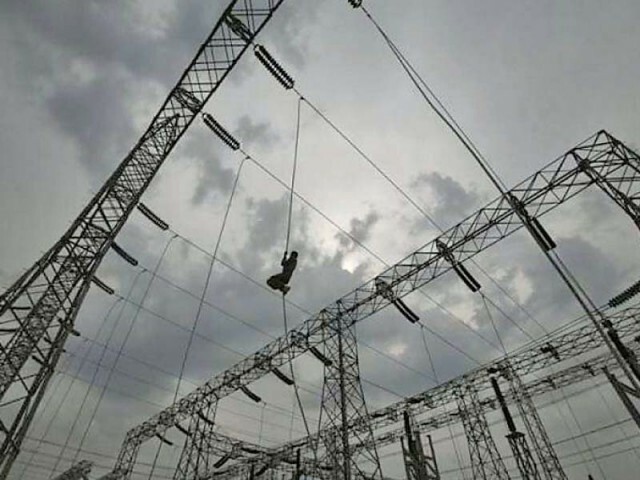 According to the CPPA-G, about 12,117.67 gigawatt-hours (GWh) were generated in May and 11,896.5 GWh were delivered to distribution companies. Losses stood at 1.74% (Rs0.1205 per unit) due to leakages in the transmission and distribution system. The share of hydroelectric power production in the overall energy mix was calculated at 18.3% for May. Wind and solar plants contributed about 2.38% and 0.52% of energy respectively with no fuel cost. Published in The Express Tribune, June 28th, 2018.